We introduce our little "secret" to making great tasting vegetarian dishes. A textured protein that is all vegetable provides substance and taste to your favorite recipes. 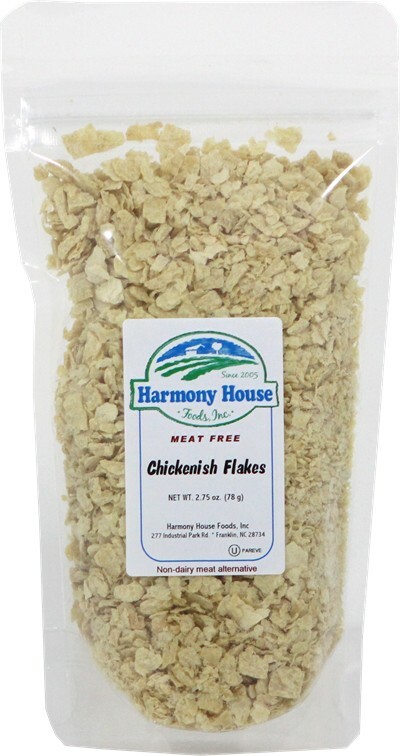 Try our Chickenish Flakes with this convenient 1 CUP ZIP POUCH! Excellent for backpackers, RV'ers, or for your cupboard! We introduce our little "secret" to making great tasting vegetarian dishes. A textured protein that is ALL VEGETABLE provides substance and taste to your favorite recipes. 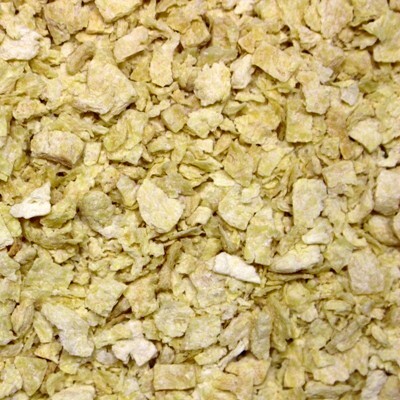 Use our "Chickenish Flakes" as you would chicken. 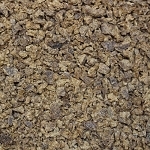 Put it directly in soups, stews, or other dishes that are being cooked. It tastes great in spaghetti sauce or lasagna! You can also rehydrate it in a small amount of hot water for 5-7 minutes, drain, and use on pizza, or mix with mayonnaise & relish for a chicken salad. This is a MUST HAVE for any vegetarian kitchen!